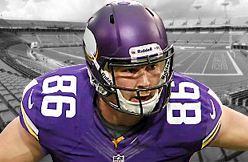 Minnesota Vikings tight end Chase Ford did an admirable job filling in for the injured Kyle Rudolph in 2014. He joined the team as an undrafted free agent and punched above his weight class on the year, but now things have changed. Rudolph is healthy, he's already competing with Rhett Ellison and the Vikings spent a fifth-round pick on tight end MyCole Pruitt. The position is crowded, but that just might mean competition will bring the best out in the players competing for snaps. Ford appears to have a bit of a head start in the "wow factor" category at the first OTA sessions of the year. 10s across the board for Chase Ford's behind-the-back catch. Ford finished his rookie season with Minnesota with 23 catches on 35 targets for 258 yards and a touchdown. He'll have a chance to compete for the No. 2 tight end spot with Pruitt and Ellison, likely behind Rudolph. 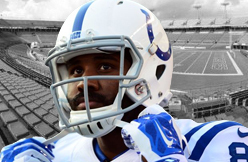 Chuck Pagano: Erik Swoope "becoming a football player right before our eyes"
Last offseason, the Indianapolis Colts signed a player who hadn't played a single down of collegiate football but a player who, instead, had been a basketball player at Miami. The team knew that it would be an adjustment for Erik Swoope and that it would certainly not be immediate, but throughout the offseason and training camp last year, Swoope showed the potential that caused the Colts to continue to work with him, as he stuck around on the team's practice squad last year. Now, Swoope is looking to make a push for a roster spot, and he's off to a good start. He was one of the stars of Wednesday's OTA session, the second such session open to the media and the fifth held by the team overall. He's turning heads of both media and coaches alike, and he's showing a lot of development from last year. Colts head coach Chuck Pagano mentioned today how Swoope is becoming a football player after playing collegiate basketball. In the football field, defenses couldn't catch him. On the track, opponents couldn't keep up. It's all Phillip Dorsett has done since the moment he slipped into a pair of cleats as a youngster: Stand out. History has a way of repeating itself. He has done the same thing since he became a member of the Indianapolis Colts. He's the new guy around here, the team's latest first-round pick, the wide receiver swimming in so much upside that the Colts couldn't pass on him with the 29th selection in last month's draft despite glaring needs at other position groups (see: defensive line). The early returns on Dorsett? They're good. Possibly great. Sure, it's just organized team activities. Players aren't even in pads yet. Training camp won't start for two months, the regular season three. But Dorsett is turning heads in his first on-field workouts with his new team. He has attributes coaches can't coach. He's a 5-10 lightning bolt, 185 pounds of nightmare if you're a defensive coordinator in the AFC South. "Rare, rare speed," Colts coach Chuck Pagano called it Wednesday. "He's so smooth. He doesn't look like he's running until he's five yards past you." It's easy to gauge talent when you see it. Dorsett has it. Plenty of it. With every leaping grab, with every burst of his did-you-see-that speed, with every stutter and slip and slash through the teeth of the defense, he validates the Colts' first-round gamble. Vontae Davis can tell you all about it. The Colts' Pro Bowl cornerback was burned deep down the field by Dorsett during Wednesday's workout, a highlight in a morning in which Dorsett was one of the more prominently featured offensive weapons. To be sure: Davis won't be the last defensive back Dorsett gets the better of in this league. "I live off perfection," Dorsett said. "I want to be a perfectionist out there." It's always a good day when you snare a deep pass from Andrew Luck over the outstretched arms of the team's best corner. Dorsett did that, then his day got better an hour later: He signed his first professional contract. The four-year deal, set by the parameters of the rookie wage scale, comes in the neighborhood of $7.3 million guaranteed. (The club will have an option for a fifth year.) Asked what it was like to become a millionaire Wednesday, Dorsett smiled. "Honestly, I can't tell you," he said. "Because I don't play football for the money." It's a veteran response from a rookie who hasn't yet played a regular-season snap. For now, Dorsett simply wants to earn his keep. That means winning the trust of his coaches and the respect of his teammates. It's what he has done since he was a football and track star growing up outside of Miami. And it's what got him his fat new contract Wednesday. "I did earn it," Dorsett said. "When you think about all that work that I put in, it's crazy. I came a long way from high school to college to where I'm at right now. I did earn it." While there's plenty of time left to mix and match and experiment, Dorsett has been used mainly out of the slot receiver position in early workouts. It makes sense. A player of his speed and swiftness could be the perfect complement to the veterans the Colts will line up on the outside: T.Y. Hilton and Andre Johnson. Still, Dorsett is in the process of being immersed in coordinator Pep Hamilton's complex offensive scheme. He is by no means a master of it. The rookie learning curve, his coach will tell you, is a very real thing. "You've got different alignment rules, assignment rules," Pagano said. "You've got to be able to read coverage in the back end. Is it single high? Is the middle closed? Is the middle open? Do I block the corner? Do I come back and crack the safety? In the run game, he's got to learn to play without the ball as well. "There's a lot on a young receiver's plate, especially when you're moving him around." Which seems to be what the Colts are doing with Dorsett early on. So far he's passed the eye test. Doing so in September, when the real games start, will be the surest way to prove his worth. When Victor Cruz was injured last season and Odell Beckham Jr. had to step into the starting lineup, the Giants coaches had a message for Beckham. Because he was needed, there was no longer any time to nurse him along. "Congratulations," they told him, "you're no longer a rookie." By that measure, Ereck Flowers' rookie year was even shorter; maybe just a few weeks. The first-round pick has been inserted as the starting left tackle on the offensive line with Will Beatty requiring surgery to repair a torn pectoral suffered last week. Flowers was at that position during Wednesday's first OTA of the offseason, anchoring a realigned line that didn't have one player returning to a starting position. Flowers figured to start his career at right tackle, a somewhat less strenuous position than protecting a quarterback's blind side, but the Beatty injury scrapped that plan. The Giants get to see what they have in Flowers right away, and Eli Manning said it is good that Flowers is thrust into such a high-profile position now rather than later in the season. But they are still bracing for the pitfalls that always seem to bother first-year linemen. "He's a rookie and he's been here three weeks," Manning said. "He'll have some mistakes, and that's just part of it. You have to get them out now and be out with the first team and learn from it all and it'll make him better down the road." "Sure, there are going to be things that happen to him that haven't happened before," Tom Coughlin said. "We knew there were a couple of things we need to clarify and work on him, but he will work." The rest of the offensive line in the first OTA: former right tackle Justin Pugh at left guard, former guard Weston Richburg at center, Geoff Schwartz, coming off an injury-riddled 2014, at right guard, and newcomer Marshall Newhouse at right tackle. John Jerry split first-team reps with Schwartz at right guard. Coughlin said the Giants will continue to experiment with various permutations on the line. "Our plans are to continue to try to figure out how this line is going to fall out, who is going to be where," he said. Flowers was selected with the ninth pick in the draft, and no one can argue that he isn't built like a premier offensive lineman (6-6, 329). But since he was drafted, several reports have quoted unnamed scouts and coaches criticizing Flowers' technique and coachability. Coughlin came to Flowers' defense. "I don't subscribe to that, what people say," Coughlin said. "He's our kid. He's an outstanding young player. He's going to do nothing but get better." 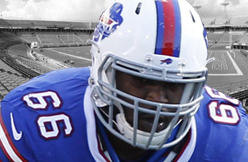 The Bills have opened their right tackle position to competition between Seantrel Henderson and Cyrus Kouandjio. Although Henderson earned the distinction of starting 16 games as a seventh-round rookie last season, his on-field performance was abysmal. He graded out as Pro Football Focus' No. 82 tackle among 84 qualifiers, and was 83rd in run blocking. Still, Kouandjio is such a deficient athlete that the Bills' best option would likely be to stick with Henderson and simply hope he improves. Orlando Franklin, the newly acquired San Diego Chargers offensive tackle is far more pleased with his first impression of quarterback Philip Rivers than he was with Peyton Manning. "One thing I noticed immediately when I got here is that Philip Rivers is definitely more approachable than Peyton," Franklin told ProFootballTalk on Wednesday. "I don't know if it was because I was a lot younger being that I met Peyton in my second season and now meeting Philip going into my fifth season but definitely I will say Philip is more approachable than Peyton." Franklin spent the first four years of his career with the Denver Broncos (three with Manning) and signed a lucrative five-year contract with the Chargers in the offseason. Franklin's impression does not jive with the national perception of Manning as a gregarious, self aware, chuckler, slinging piping hot Papa John's pizza's when he's not studying game film. But the jab is likely just something players say in the immediate aftermath of a move to a new team. It's not the first time this has happened. Is there really something wrong with the technique of Ereck Flowers? They talk almost as if Giants first-round pick Ereck Flowers just learned to play offensive line. His technique is raw and flawed, the critics say. It's the easy, common and maybe even obvious assessment about Battleship Flowers. MMQB's Greg Bedard brought the criticism to the surface again this week (almost a month after the 2015 NFL Draft) when he quoted a veteran NFL offensive line coach describing Flowers as having "some of the worst technique I've ever seen in a player drafted that high." 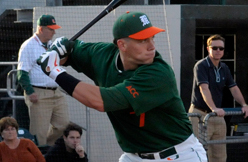 Flowers was the ninth-overall selection by the Giants. The anonymous offensive line coach's criticism is one the Giants likely brush off with a scoff. "You read that [his weakness is his technique]. The guy is 20. They all have technique flaws," vice president of player evaluation Marc Ross said with a wide smile after the selection. "Nobody is ready-made to play in the NFL. Even fourth- or fifth-year seniors. They all can improve. He is just learning to play, but even with technique flaws, the guy was a productive and dominant player at times." The rare moments when Flowers did have struggles is what has come to the surface pre- and post-draft. There was the one play matched against Nebraska's Randy Gregory. There were a few bad snaps against Virginia's Eli Harold. Considering Flowers is believed to have not allowed a single sack last season (and his father claims there were none over the past two years), it's clearly nitpicking. Here's a player who was a first-round pick, no matter who you asked, and eventually settled in the Top 10. Does he have flaws? No doubt. But some of the worst technique ever? Sounds like hyperbole. So what are these alleged technique flaws that everybody speaks of? "Like a lot of offensive linemen in college, in college you can get away with clutching and grabbing," former Giants lineman and current FOX analyst David Diehl said. "In the pros, you have to be a puncher from Day 1. The biggest thing you have to do, whether you are at left tackle or right tackle, is re-direct the defensive end's rush. "That is one thing he definitely has to work on is timing his hands and feet together so he is punching and he gets his hands inside the framework. Outside of those two things, he's a more athletic Kareem McKenzie." The inefficiency with his movement leads to sloppy technique. It leaves Flowers overexposed and sapped of his power. This makes him susceptible to both speed and power pass rushers. 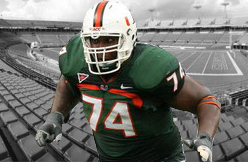 At the University of Miami, Flowers was able to compensate with his natural strength and athleticism. On a play against Virginia, he held off a defender with one bent arm. That's won't work against the size and speed of NFL defensive linemen. Flowers will need to clean it all up to be successful at a difficult position. "Instead of kicking and getting to a spot, exploding and getting engaged, upper body in sync with the lower body, being able to punch and make a stand, a lot of times he's all over the place in moving sections," said Duke Manyweather, a performance consultant with emphasis on offensive line. Manyweather works with the Giants' Geoff Schwartz and Weston Richburg in the offseason. "That leads to [Flowers] not being in top position with his feet and effectively use his hands. That is one of the big issues." Former Giants lineman Chris Snee, who analyzed three games of Flowers for line coach Pat Flaherty, can relate. He struggled with some of the same issues Flowers has entering the NFL. "The hand placement issue I was talking about with Flowers was similar to what I had [coming out of B.C. ]," Snee said. "I'd either have one hand inside and the other outside and wouldn't really trust my punch." These are all issues that must be addressed. The Giants desperately need Flowers to play (and play well) with starting left tackle Will Beatty likely out until November. There are three months to work on these flaws. It's far from a lost cause. Flowers was the ninth pick for a reason, and seems to have the right mindset and work ethic. "[Flowers] said one of the best things he could have possibly said to me that already struck me the right way and gave me a good impression of him," Diehl said recently. "We're sitting there talking about coming [to the Giants] and everything. Before I walked away he said, 'I know you're around a lot. [The team] said you were. Do you mind if at any time if I have any questions about technique or footwork or different types of stuff if I can ask you?'" Sounds like someone willing to fix what many consider badly flawed technique. Clinton Portis' $40,000 promise: Many people don't remember this, but Portis and Ifeanyi Ohalete ended up in court over the matter. Portis purchased the rights for $40,000 but ended up skipping out on a large portion before legal action was taken. Ohalete was also challenged to a boxing match by Portis, which sadly never happened. Ah, America. Just one day shy of going to court to settle their digital dispute, the numbers nuttiness between former Washington Redskins teammates has been resolved. 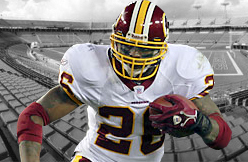 Redskins tailback Clinton Portis on Monday agreed to pay former Washington safety Ifeanyi Ohalete $18,000 of the $20,000 that the latter claimed he was owed for giving uniform No. 26 to Portis a year ago. The settlement brought the tab in the case, not including attorneys fees, to $38,000. "I really wasn't looking for vindication. 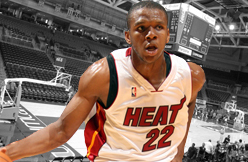 I just wanted to get this thing over with," Ohalete told The Associated Press. "I did my half and I just wanted what was mine in return. "It worked out better for me. I didn't want to miss practice," he said. According to the agreement between the players, Portis had agreed to pay Ohalete $40,000 for the uniform number and had already shelled out $20,000. The remaining $20,000 was in question until Monday, with the players scheduled for a Tuesday session in a Maryland courtroom. In his 10 seasons with Pittsburgh and Tennessee, receiver Nate Washington became a big fan of Andre Johnson. Washington is among the veteran and rookie receivers trying to earn playing time opposite DeAndre Hopkins – the position owned by Johnson until he was released in March. “None of us is here to fill his shoes,” Washington said after the first day of OTAs. “The guys they brought in, we’re not here to try to fill his shoes. We’re here to do what we do best. Having spent so much time on sidelines opposite Johnson, Washington knows his impact on the Texans and the NFL. “He’s been a great guy in this community and a great guy in this organization, well-respected in the city and the NFL,” Washington said. “I’ve been close to Andre even though I wasn’t in a Houston Texans jersey, and I have much respect and admiration. Eli Manning was asked if he remembered the last time the Giants worked with another team in a joint training camp practice. Manning did not immediately come up with the year, but he did instantly recall what happened a decade ago. “That was [Jeremy] Shockey getting in a big fight, right?’’ Manning said. Yes indeed, the last time the Giants engaged in a joint training camp practice was back in 2005, when they invited the Jets up to the University at Albany. 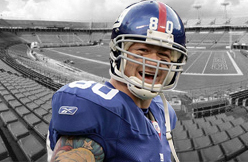 The first day devolved into a controversial mess when a series of altercations broke out, with tight end Jeremy Shockey at the center of the very first fight. This summer, for the first time in 10 years, the Giants will take part in a joint practice, as they will work out with the Bengals Aug. 11 and 12 in Cincinnati in advance of their preseason opener August 14 at Paul Brown Stadium. Manning took part Wednesday in the Giants’ first organized team activity practice and he said he’s always in favor of breaking the monotony of the offseason routine. LeBron James — and James Jones — will become the first players since Bill Russell and the Boston Celtics of the 1960s to make five straight NBA Finals appearances. After LeBron joined Jones in Miami, they went to four straight NBA Finals — winning two. When King James returned to Cleveland, Jones accompanied him and they are now headed to their first Finals together as members of the Cavaliers. Of course, LeBron has a little more to do with his teams’ success than James Jones, but Jones is a part of history nonetheless. The 2015 NBA Finals will be LeBron’s sixth chance at the championship. 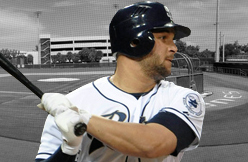 Padres first baseman Yonder Alonso went 1 for 3 at the plate in his first rehab game for Class A Elsinore on Wednesday. Alonso, who is currently on the 15-day DL with a shoulder injury, also drew a walk. Alonso hasn't played since May 8 when he suffered the injury and is hitting .333 with 10 RBI in 87 at-bats this season. ST. LOUIS -- Jon Jay went 0 for 4 in his first rehab game with the Class A Peoria Chiefs on Tuesday, but that certainly wasn't enough for fans to leave disappointed. According to the Peoria Journal Star, the St. Louis Cardinals outfielder spent a good amount of time signing autographs for every single fan who stuck around after the game. The selflessness is certainly not uncharacteristic of Jay, who takes part in several charity events throughout the year, including his annual Celebrity Bowling Challenge that raises money for the Boys & Girls Clubs in his hometown of Miami. Jay has spent the last two weeks getting strength back in his left wrist, which was surgically repaired in the offseason, and rediscovering his swing. The center fielder is expected back with the Cardinals on Friday, and was pleased with his first dose of live action since going on the disabled list May 14. "I was able to play nine innings and I feel great right now, got the chance to run around a little bit in the outfield," Jay told the Peoria Journal Star. "Ran a couple times to the wall, so that was good. "I saw some breaking balls, some fastballs, was able to foul some balls off with no pain. I'm just going to day to day, I was happy with how today went and I'm looking forward to tomorrow." Jay is hitting .248 in 30 games this season for the Cardinals with 11 runs and six RBIs. Diamondbacks manager Chip Hale indicated Wednesday that prospect Peter O'Brien is getting closer to joining the major-league roster, per MLB Network Radio. "He's catching and doing a nice job," Hale said. "He looks good back there. His at-bats have been great and he is another guy pushing the envelope." O'Brien has a .346/.383/.660/1.043 slash line in 41 games with Triple-A Reno this season. He also has two triples, 11 home runs, 13 doubles and 45 RBI. O'Brien has moved all around the diamond this season. He has played 13 games in left field, 11 games in right field, nine games at catcher, four at DH and three at first base. There are reasons many mock drafts had Ereck Flowers being taken in the middle of the first round or later. 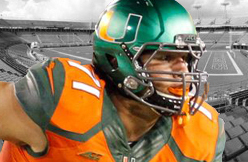 Opinions around the league varied greatly on the Miami offensive tackle, who was selected ninth overall by the Giants in the NFL Draft. The common knock is that Flowers' technique is flawed. He's raw, critics say. He has massive amounts of work to become a finished product. 1. I think the Giants are fooling themselves if they think the pectoral muscle injury suffered by left tackle Will Beatty, which reportedly could keep him out until at least October, won't have huge ramifications. Beatty had developed himself into a very capable left tackle, and now the Giants are left with either Justin Pugh (who underwhelmed so much at right tackle he had been penciled in at guard) or Ereck Flowers, the ninth overall pick out of Miami earlier this month. I recently spent the weekend at the Coaches of Offensive Line (COOL) Clinic in Cincinnati, and the reviews on Flowers were not good. "Some of the worst technique I've ever seen in a player drafted that high," said one veteran NFL line coach. "He played for one of the best coaches, Art Kehoe, and his technique was terrible," said another coach. "That tells me he doesn't take coaching well. That's a big problem because all of the recent tackles have struggled making the transition. It now takes them until Year 3. You can thank the spread and the [collective bargaining agreement] for that." Let's address this point by point, beginning with the premise that the Giants are going to suffer without Beatty. This is an assertion that is hard to argue. Plug-and-play left tackles don't grow on trees. They don't grow in college anymore, either. As the veteran line coach who slammed Flowers explained, it's become more and more difficult for rookie tackles to enter the NFL and enjoy instant success. It's going to be difficult for Flowers to succeed, especially if forced to protect quarterback Eli Manning's blindside in Week 1. And yes, the Giants preferred to move Pugh to guard. As for the comment about being "the worst technique I've ever seen in a player drafted that high," that is somewhat eye-opening. Lots of linemen enter the league with serious technique flaws. The NFL is a completely different game. 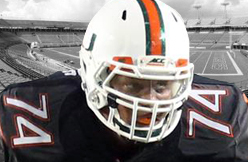 Linemen are generally drafted based on their natural size, strength and ability. If Flowers really is that far behind the rest of the highly-picked linemen, it's worrisome. What was said by the veteran line coach is not the kind of comment you expect to see often about the ninth-overall pick. There is obviously an offensive line coach out there who doesn't think very highly of Flowers. In fact, he's probably not alone. There are most certainly others out there like him. There are others who share the Giants perspective (all rookie linemen are raw and have technique flaws) as well. The Rams reportedly were very interested in Flowers at No. 10 and another executive and scout with NFC teams weren't the least bit taken aback when I suggested Flowers as the Giants ninth pick a month before the draft. It just goes to show the variance in opinions on the Giants' first-round pick. Only time will tell who was right on their evaluation. The final point that was addressed by Bedard was that Flowers didn't take coaching well. To be honest, it's an interesting philosophy. One is left to wonder why Flowers' technique is considered raw when his coach is well respected in NFL circles. Having met and talked with Flowers, I'm not sure that it's a matter of not taking coaching well. He seems to be a humble kid interested in learning. One theory could be that he came to Miami so incredibly raw that what he is now is already a massive improvement from when he arrived in Coral Gables. Again, only time will tell. In the meantime, file this report away for three years. Then we'll see which camp had it pegged right. 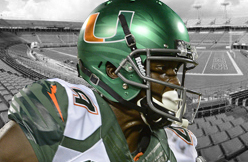 The Indianapolis Colts' selection of University of Miami wide receiver Phillip Dorsett at No. 29 overall in the 2015 NFL Draft was widely panned as a head-scratching luxury pick. After rookie minicamp and a round of OTAs, the Colts couldn't be happier with their speedy first-round choice. "He looks really good," coach Chuck Pagano said of his initial impressions, via The Herald Bulletin. "He's really fast. He's got really good hands. He's really smart. He's picked things up. He looks really good." As Donte Moncrief pointed out last season, young Colts receivers are at a slight disadvantage compared to other rookies because they must learn the X, Z, slot and the inside (F) spot in Pep Hamilton's offense rather than concentrating on one position. "I've been all over the place," Dorsett said. "Basically, playing receiver here, you can't just learn one position. You've got to learn them all." So far, so good. Dorsett believes he's picking up Hamilton's scheme quickly. After dialing up a few deep throws to his new weapon, Andrew Luck noted that "it's definitely not too big for him. ... He fits in very, very well." With Andre Johnson and T.Y. Hilton locked in as Luck's top two receivers, Dorsett is battling Moncrief, former CFL star Duron Carter and ex-Chargers draft pick Vincent Brown for the third spot. Former Colts running back Edgerrin James, who counseled Dorsett at Miami, believes his protégé will be among the NFL's impact rookies. "I tell him once he gets in that real good offense and he gets to playing, man, he's going to be unbelievable," James recently told Mike Chappel of WXIN in Indianapolis. "He works hard. He does it the right way. He's a good kid. He has a love for the game. You're not going to have to worry about him. Trust me on that. And Andre is going to mentor him." If James' assessment is correct, Hamilton's offense might reach "Greatest 'Shoe on Earth" heights after all. By the end of last season, Santana Moss wasn’t just the longest tenured Redskins player; he was among the longest-tenured pro athletes in D.C. sports. Near as I can tell, Moss — who debuted with Washington in September of 2005 — had been here longer than anyone other than Brooks Laich (who made his debut in 2004) and Ryan Zimmerman, who beat Moss to D.C. by 10 days. Coach Jay Gruden has said he would still be open to bringing the 35-year old Moss back if circumstances demand it, but the longtime wide receiver has recently spoken as if his time in Washington is over. He also said last week that he’s already talked to owner Daniel Snyder about returning in a different capacity one day. Moss would leave Washington third in team history in receptions, and with the single-season yardage mark. And while he seemed open to retirement, Moss also said he would wait and see if anyone needs a veteran receiver. The news that Seahawks quarterback Russell Wilson is absent from today’s Organized Team Activities was met by some with speculation that he’s unhappy with the status of contract talks. But that’s not the reason for Wilson’s absence. Instead, a league source tells PFT that Wilson decided to travel to Miami to be with new teammate Jimmy Graham at the funeral of Graham’s longtime manager and mentor, Tamara Meyerson. Meyerson, who died on Friday at the age of 45, became a mother figure for Graham, whose biological mother abandoned him when he was 11. Meyerson’s obituary names her three children and Graham as the most important people in her life. “Tammy loved and mentored Jimmy Graham as a son. They were all always the number one priority in her life,” the obituary says. Our condolences go out to Graham and to the Meyerson family. After 14 standout seasons filled with accolades, former Indianapolis Colts wide receiver Reggie Wayne is poised for one more honor: The key to the city. Wayne, who was released by the Colts in March, will be presented with the key by Indianapolis mayor Greg Ballard. The Associated Press says Wayne will be recognized as part of Indiana University's Pacers Sports and Entertainment luncheon on July 17. The six-time Pro Bowler, who was the Colts' first-round pick in 2001, had more than 14,000 yards receiving during his career with Indianapolis. Wayne helped lead to the Colts to a victory in Super Bowl XLI. Ballard reportedly cited Wayne's contributions to the community and status as a role model as reasons for the honor. The Colts definitely had bigger needs than another wide receiver in the first round of the draft. But after their first look at him, they don’t think Phillip Dorsett is just another wide receiver. Of course, the fit has been the biggest question. The Colts are well-stocked at the position with T.Y. Hilton and Andre Johnson starting, and Donte Moncrief, Duron Carter and Vincent Brown in reserve. But Dorsett could separate himself the same way he separates from cornerbacks, with his speed. He averaged more than 24 yards per reception last year at Miami, and is falling into a system with a star quarterback who can throw a deep ball. Luck can only put it in one set of hands at once, however, so Dorsett’s role this year might be unclear, as he works on returns and working his way into the starting lineup down the road. Orlando Franklin: "I Definitely Made the Right Decision"
Orlando Franklin was a hot commodity in March as one of the premier offensive line free agents available. He had his pick of the litter, and was confident the San Diego Chargers were the best fit. Still, he called his good friend Brandon Flowers just to make sure before making his final decision. Now that he’s spent a month in the team’s offseason program, his belief he made the right choice has transitioned to fact. Looking around the locker room at all his teammates, especially those he’ll take the field with on offense, reassures him of that. Franklin spoke at length about Rivers after inking his contract in March, but he’s even more impressed by number 17 after spending significant time with him. While Franklin can’t wait to protect for his star quarterback, he’s equally eager to open up holes for the Bolts’ talented stable of running backs. As for the guys he’ll be blocking with, Franklin takes one look to his right at Chris Watt and another glance to his left at King Dunlap and already feels right at home. While he admittedly knows his offensive teammates better than those on defense at the moment, the left guard has paid special attention to one of the newest Bolts on the other side of the ball. Second-round pick Denzel Perryman hails from his alma mater at Miami, so he knows what the young inside linebacker brings to the table. WASHINGTON (CBSDC) – Former Redskins wide receiver Santana Moss confirmed on Friday he still wants to play in the NFL this season, but that his time with the Redskins is over. Moss, 36, was the longest-tenured member of the organization. He played with Washington from 2005 until last season when he became a little-used reserve. Moss — appearing on Chad Dukes Vs. the World Friday — that even during NFL free agency in March, his agent, Drew Rosenhaus, told him that the Redskins might not bring him back. And while Redskins coach Jay Gruden and general manager Scot McCloughan left the possibility open for a return depending on training camp injuries to the wide receiver corps, Moss said he was told if Washington drafted another wide receiver that would be the sign to move on. The Redskins selected two: Jamison Crowder (Duke) in the fourth round and Evan Spencer (Ohio State) in the sixth. Moss met with Redskins owner Dan Snyder shortly before the April 30 draft and was told if things didn’t work out with an NFL team that he’d be welcomed to return to Washington and retire as a Redskin and could work in some capacity in the organization, too. For now, Moss continues working out in his hometown of Miami hoping another team is interested either now or during training camp. He gave no preference to a destination, but said Rosenhaus and other friends and associates in the league have told him NFL coaches and executives have asked about his availability. But Moss says he’ll know when it’s time to stop waiting. Jon Beason started his press conference on Friday with a little levity. It was a good-natured attempt at humor for a player who was dealing with a frustrating injury. But if anyone’s late to camp it’s Beason, who tore a ligament and fractured the sesamoid bone in his right foot during team activities last month and missed his fourth straight practice on Friday. Beason was in good spirits, however, pronouncing his ability to heal “a little superhuman,” and suggesting he might be able to participate in at least some of the Giants’ five preseason games, which start on Aug. 3 and end Aug. 28. Beason suffered the injury on June 12 and was carted off the field during 11-on-11 drills. The news wasn’t all negative because the injury didn’t require surgery, but he is now relegated to running on an underwater treadmill and trying to beat the timetable doctors gave him for returning for the season opener. In his absence, Jameel McClain has assumed the middle linebacker spot, with rookie Devon Kennard taking over at strongside linebacker. Beason has been injury-prone the past few seasons and was viewed as a bit of a health risk when the Giants inked him to a three-year deal in March. Alonso (shoulder) will join High-A Lake Elsinore for a rehab assignment beginning Wednesday, MLB.com's Corey Brock reports. Alonso is scheduled to hit on the field Monday in Anaheim, and will then start his rehab assignment. It's unclear how many rehab games he'll require, but he could be back on the field for the Padres by next week. 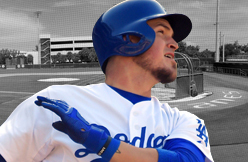 LOS ANGELES -- Yasmani Grandal will not have to spend any more time on the disabled list than what is required. Grandal went on the seven-day concussion DL this past Saturday after he was hit on the side of his face with a backswing and then took a foul ball off his mask Friday night. Grandal has since passed all of the training staff's tests and will start his rehab assignment Tuesday with Triple-A Oklahoma City. Other than some trouble sleeping the night after it happened, Grandal has felt fine he told the team's cable network, SportsNet LA, in a pregame interview. As long as everything goes well in his three minor league games as a designated hitter, he should be activated for Saturday's game against the St. Louis Cardinals. Grandal will not catch in the rehab games in order to minimize the risk of another blow to the head or face. "Last I heard he was not going to catch any of those games. Just doing a little drill work," Dodgers manager Don Mattingly said. "I don't think the [medical staff] wants to take any chances. He had a concussion. The longer he can go without any kind of jolt, the better chances he has of it not reoccurring." Grandal was the team's hottest hitter when he suffered the concussion. He leads the Dodgers in May with a .400/.492/.660 slash line, a 1.152 OPS and 15 RBIs in 61 plate appearances. After a strong week at the plate, Milwaukee Brewers right fielder Ryan Braun was named co-National League Player of the Week alongside the Pirates' Andrew McCutchen. "He's swung the bat incredibly well," Brewers manager Craig Counsell told Brewers.com. "He's talked about seeing the ball longer, seeing the ball better, letting the ball get deeper. The big thing it's resulted in for me is there's less chase out of the zone. With his swing, when he's in the strike zone, he's going to produce with that swing." Braun had three home runs and 11 RBIs last week. This was the fourth time Braun has won the award in his career and if the Brewers are going to get back into the race for the National League Central, Braun – or his teammates – may need to win a couple more of these this season.